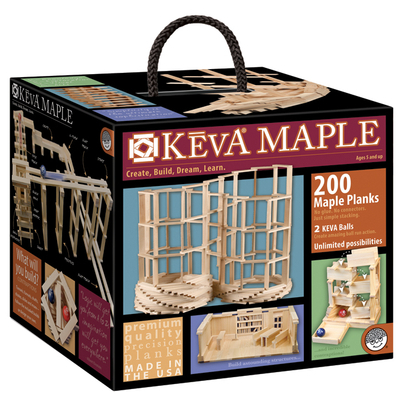 "We first saw KEVA planks at the local Science Discover Center, and we were hooked! I bought my kids 2 sets of 200 planks, and my 6 year old son has plans to save up all his money so he can buy thousands. We are very excited about all the possibilities, and my husband is like a kid again when he gets these blocks in his hand. 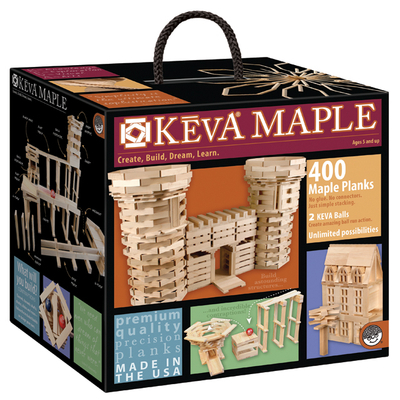 Truly, KEVA planks are well worth every penny -- they get significantly more play time than many of the more expensive toys the kids have received. We all love them!" "I wanted to get back in touch with you to let you know the Keva planks on our floor are a wild success with our Structures exhibit. People really get into it and take delight being creative and seeing what they come up with. Visitors spend a lot of time engaged and it draws in all ages of folks. The key for us was having a critical mass of planks, prominently featuring it in a large area, and then graphics and models to give people the idea. AND, I understand they’re selling well in the store. All the things you said would happen." "I am a third grade teacher in Lebanon, TN. We went on a field trip to the Discovery Center inMurfreesboro where I, along with most of the third graders, was enthralled by the KEVA blocks. I am going to order some for my room. How many boxes would you recommend for use in center time (1 -4 children at a time) and how do I obtain lesson plans. These are great!" "Thank you so much for KEVA planks. 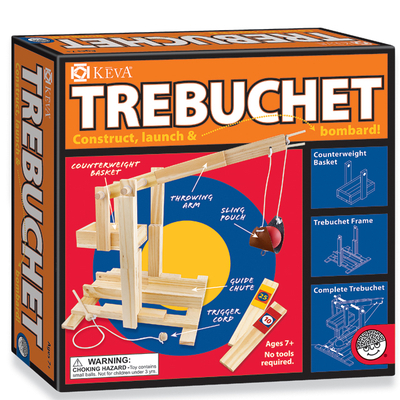 The kids all love building with them. I don’t think I would have survived my first 9 weeks without them! 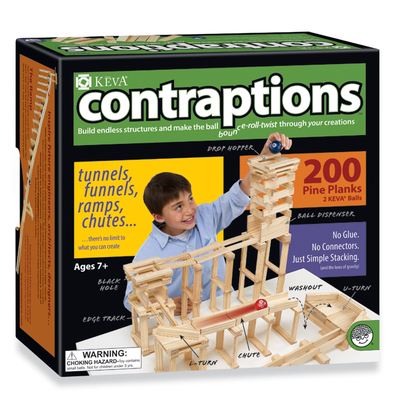 Especially with the younger grades- when they finish a project early they just want to build with KEVA planks. I have hundreds of pictures I can send you. It has also been great for building community in the art room –working cooperatively on a building project. "We're gearing up for the school year--three kindergarten teachers in our area have bought the planks, and people are loving them!" "Thanks for your quick response. My wife and I saw the planks at the California Homeschool Network's Family Expo this weekend. We were blown away! 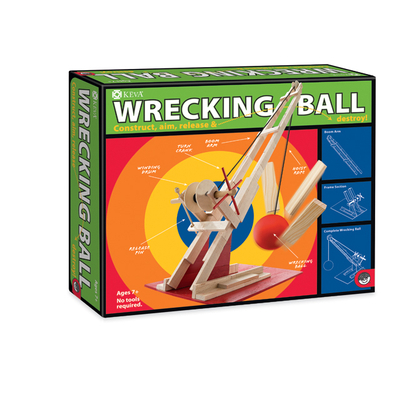 Our kids are going to have a lot of fun with them (unless we keep them for ourselves). Maybe we'll need to order a "kids" set and a "parents" set..."
"I'm 16 and I messed around with the building blocks at a childrens museum for hours it was one of the coolest things ever! " "My family played with the KEVA planks that were donated to the CHN Expo last year. They LOVED them! Some family members gave us a similar product for the holidays but my kids are BEGGING for the original! (Probably for birthdays this year). We can't wait to go to the CHN Expo in 2007 to play with the planks that we heard your company so very generously donated. THANK YOU THANK YOU THANK YOU a Million Times over." We loved playing with our blocks at the Turtle Bay Exploration Park in Redding, California this summer. Your exhibit was wonderful! Our family easily spent an hour constructing things of all kinds. 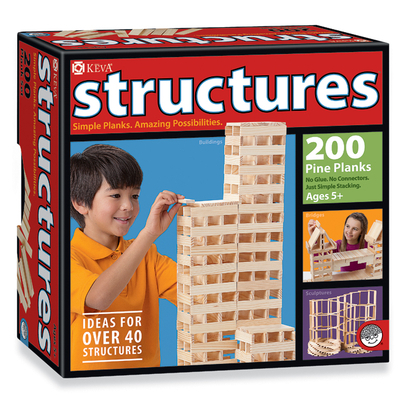 I have just purchased a set of 400 blocks for the family for Christmas. Now, the only thing we are missing is that wonderful classical music that was playing at the exhibit. Do you happen to sell the CDs that the curator showed me when I asked her about the music? If not, would you be willing to tell me the symphonies that the music was excerpted from, and I will find the music myself? Many thanks your Keva blocks for a wonderful experenice playing with them at the Turtle BayMuseum this summer. We are looking forward to recreating this good time at home during the holidays! Note: We do not sell music CD's but Bach, Handel and Vivaldi are the stars of our inspirational building music. "My family and I visited the Turtle Bay Exploratorium in Redding, CA last summer and fell in love with the KEVA exhibit. 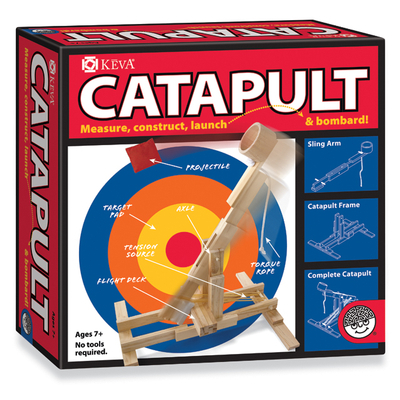 I would love to get some KEVA planks for my children for Christmas this year. " "My step-daughter and I recently visited the Keva exhibit at the Turtle Bay Museum in Redding. Bella (age 8) is generally more captivated by Barbie dolls and X-Box games than building blocks, so I expected we would breeze through the exhibit in record time. However, we were both captivated by the exhibit and the opportunity to build with Keva Planks. Bella went straight for the big chests of planks while I became fascinated with the displays of Keva buildings, bridges and towers. It was a quiet evening at the museum, there was classical music playing in the room and our experience building together was peaceful and magical. 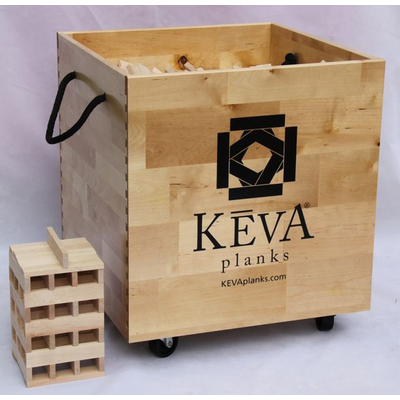 In a fast paced world saturated with technology I really appreciated the simplicity of the Keva Planks. The next day, Bella went straight to the closet and pulled out our Jenga game and started building with those blocks. Jenga blocks are not the same...but a suitable substitute until her Keva set arrives for her birthday! Thanks for a fun, engaging, timeless activity that allows us to enjoy unplugged time with our family."